For decades, Apple tried to push into the enterprise market through the data center back door. In the 1990s, it rolled out its Apple Network Server, which quickly failed. In the early 2000s, it introduced its Xserve line – a data center server that lasted in various iterations through 2011, but never gained traction. To be certain, Microsoft still dominates the workplace desktop and laptop space. But Apple – which tomorrow will unveil new iPhones – recognizes who it is and who it isn't. As Sun Tzu wrote in the Art of War, "If you know the enemy and know yourself, you need not fear the result of a hundred battles." It was Apple's iPhone, introduced in 2007, and the iPad, which arrived in 2010, that gave it that long-sought foothold in the enterprise. And while it may not dominate the back office, it certainly has ownership of the front office. 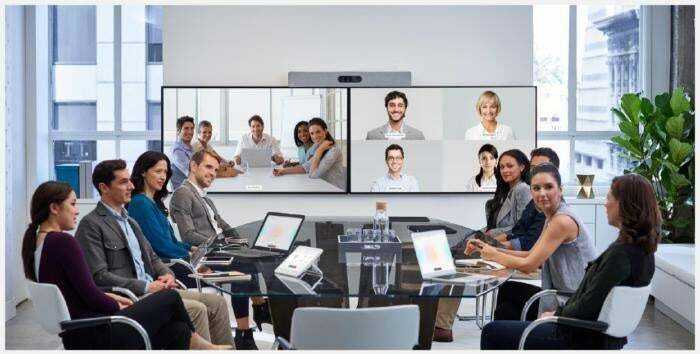 That presence became the lynchpin Apple needed to swing top-tier enterprise vendors to join it in a new kind of partnership, one in which Apple employees take up residence in the offices of IBM, Deloitte, Accenture, SAP and Cisco. Apple and IBM are working together on building mobile apps for the enterprise. In the past year, 82% of the work done on mobile devices in the enterprise was performed on iOS; the remaining 18% of mobile activities were done on Android devices, according to new research from file synchronization software vendor Egnyte. While Windows continues to dominate the desktop with 75% of enterprise transactions, Apple's desktop macOS still takes a healthy 25%, according to Egnyte. The company analyzed 25 petabytes of customer data and four billion transactions for its study. While three of every four activities are done on a Windows desktop app, a little more than three in four activities are done using an iOS app, according to Engyte CSO Isabelle Guis. "If you deploy a solution that is robust on Windows but heavily lacking on the iOS side, your business will significantly struggle," she said in a blog post. "Apple managed to get into a market completely owned by Microsoft," Guis said in an interview. "They reversed a monopoly. How many players have been able to reverse a monopoly?" The partnerships are necessary for iOS-based apps to connect to legacy back-end systems that enable access to corporate data. 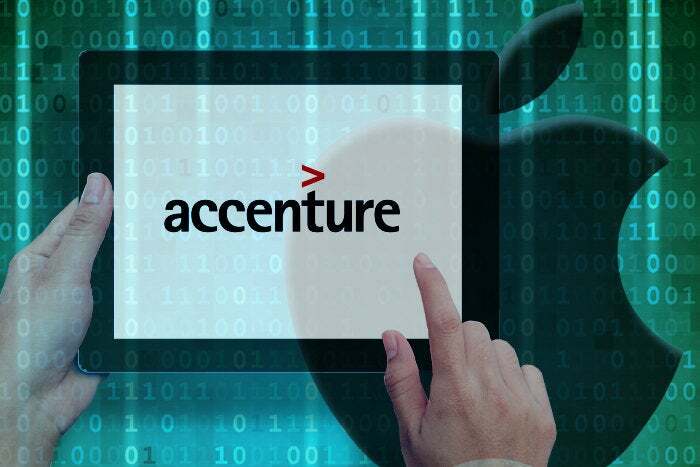 Apple will be using Accenture's systems integration expertise; in turn, Accenture – which helps companies develop and deploy custom business apps – can use Apple's APIs to craft business applications for iPhones and iPads. "It's not just your typical partnership, where two organizations say we're going to partner together and sell or represent each other's stuff," Baker said. "They're actually putting personnel in those [IBM, Accenture and Deloitte] facilities, working with them to build solutions and components and apps that can be deployed over and over again with some degree of modification." Jack Gold, principal analyst with J. Gold Associates, agreed – though he noted that Apple only has about 5% of the desktop market, with Windows owning the lion's share. While Apple believes it has an enterprise play, in reality it has a strategy but no firm tactic for gaining a significant foothold in the enterprise. "Everyone does stuff with Apple today because they have to," he continued. "This really is just a realization that Accenture has clients who use iPhones and iPads, so let's try to build a closer relationship with Apple. To some extent, this is really marketing as much as it is anything else. 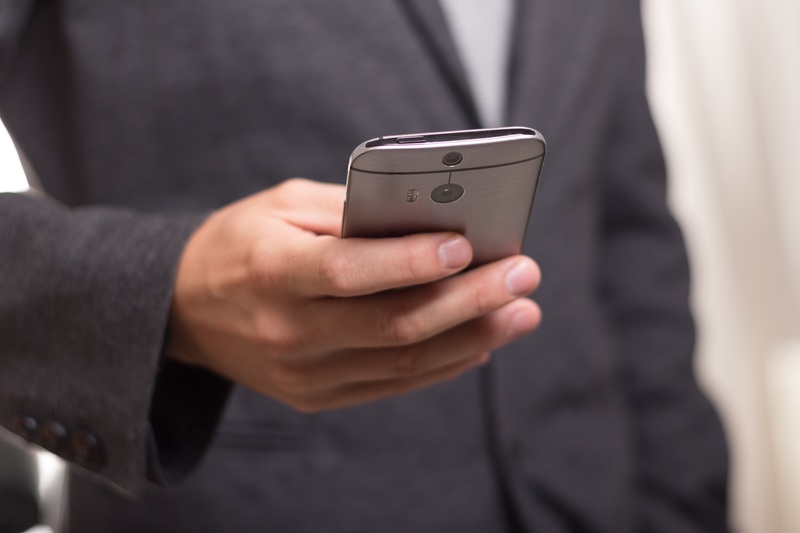 According to research firm Markets and Markets, 50% of businesses will have adopted a bring-your-own-device (BYOD) strategy by the end of this year. 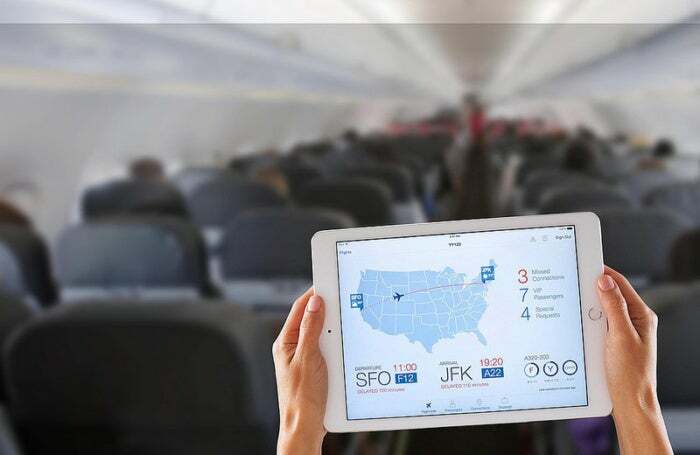 As more businesses adopt some form of a BYOD policy, employees are using the smartphones and tablets with the simplest user interface. According to Guis, that means iOS. "Security is not something that was brought up by some of our customers. What I know is that some of them say user interface is critical in bring-your-own-device," Guis said. As Blackberry left the hardware business and Windows Phone never achieved widespread adoption, enterprises weren't left a lot of choices, said Carolina Milanese, principal analyst at Creative Strategies. "BYOD consumers just wanted iPhone," she said. Along with the iPhone's organic popularity, Apple also did a lot to improve the security around its device, so that enterprise IT executives no longer had the ammunition to shoot down its use for business purposes, Milanese added. "While everyone else was going out of their way to secure devices for enterprises, Apple was thinking about users," she said. "It didn't matter whether that user was enterprise or consumer." Apple also had the advantage of perception. Real or not, iOS is seen as the more secure platform. When Google initially launched its Linux-based Android mobile platform in 2007, it suffered from security vulnerabilities. "And, there were issues around applications that were in the Google Play store that hadn't been tested or vetted for malware or questionable code," Baker said. And, as the most widely adopted consumer platform, Android is also overwhelmingly the biggest target of malware attacks. Google has addressed Android's security issue through tools, such as its Bouncer malware scanner, which scans apps available in the Google Play store for malware. And as part of the 2012 Android 4.2 "Jelly Bean" OS release, it has had a "Verify Apps" component that also scans all apps from third-parties for any malicious behavior. Android, however, remains the primary mobile platform targeted for malware, according to anti-virus software vendor F-Secure. There are over 19 million malware programs developed especially for Android, the company stated in a 2017 report, making Google’s mobile operating system the main target for mobile malware. "The reason for this is the vast distribution of Android devices, as well," the report stated. " And consequently, over 99% of all malware programs that target mobile devices are designed for Android devices." Another problem related to the vast iterations of Android devices: software updates. Because there are so many versions of Android, and the hardware is controlled by carriers, not Google, users aren't as proactive about finding and implementing updates. "I had an Android device for some time that I hadn't been updating and I asked one of the major carriers for updates. They'd send an update and I'd install it and then they'd tell me I had to wait 24 hours before I could ask for the next update," Baker said. "I'm about seven updates into that cycle now and I still haven't gotten to Android N yet. They make it a very cumbersome process, which Apple doesn't do." Apple controls both its iOS hardware and software and can send update notifications to all devices, regardless of the operating system version. "So, if you're going to have a bring-your-own-device program with your organization, chances are very good that the enterprise is going to approve an iOS device because the enterprise perceives those as being more secure," Baker said. "It's not necessarily the case anymore, but that perception is still there." Could the iPhone 8 and its hefty price tag hurt enterprise adoption? As Apple prepares to launch the iPhone 8 on Tuesday, analysts don't believe companies that issue hardware to some employees will so much as blink at the higher price tag, which could be north of $1,000. In fact, as iPhone and iPad processing capabilities increase with a more powerful A11 processor, IT managers may see a hardware consolidation play. "Can the iPad become their main PC?" Milanese said. "[If] so, I don't have to manage two different things. And, can I get my employee one iPhone so they don't need a bigger tablet? That may be a way to justify the higher cost." If the iPhone 8 does break the $1,000 price mark, it will be in line with mobile industry trends. For example, the Galaxy Note 8 smartphone retails for around $950, "so this is where hardware is going," Millenese said.